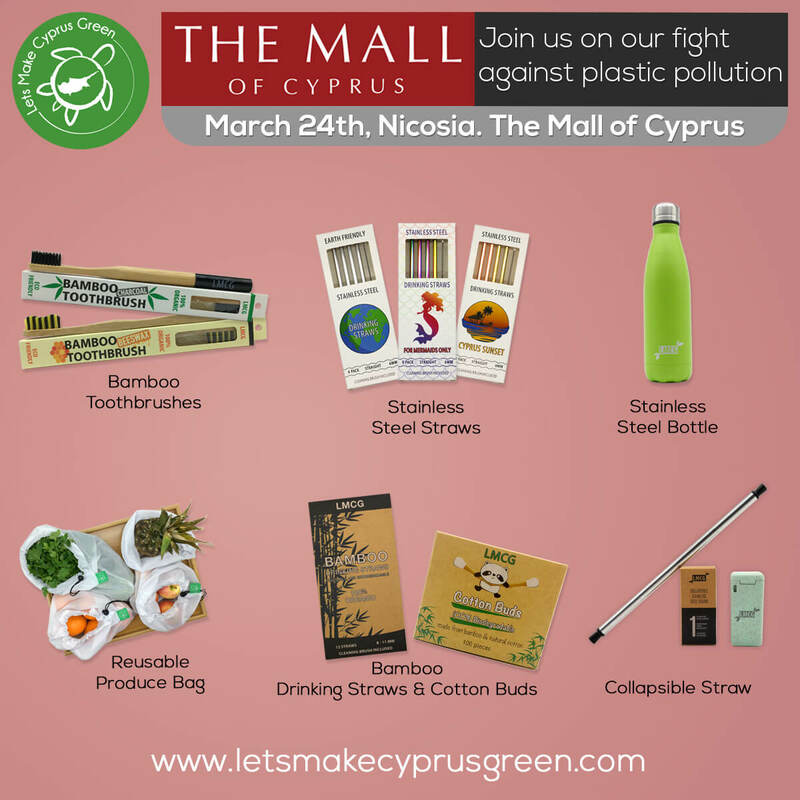 LMCG will be at The Mall of Cyprus on Sunday, March 24th. Join us on our fight against plastic pollution! Stop by to pick up your eco-friendly essentials and learn about our environmental initiatives in Cyprus and how YOU can get involved. The products are alternatives to plastic that range from drinking straws, reusable produce bags for fruits and vegetables, stainless steel bottles, bamboo toothbrushes, and more.